In Jerry Cahill’s latest video podcast, we meet Teena Mobley – a Long Island University graduate and former track athlete. Diagnosed at 9 years old, Teena’s life changed as she adjusted to her new medication schedule while staying dedicated to fitness and health. She shares how exercise helps her manger her illness, remain positive, and continue to believe in herself. This video podcast was made possible through an unrestricted educational grant from the Allergan Foundation to the Boomer Esiason Foundation. In Jerry Cahill’s latest cystic fibrosis video podcast, he spoke with Aidan Neville – a 13-year-old with CF who started 9th grade this year. He has two siblings, 22 cousins, and many more who make up his support system. While Aidan loves to stay active – surfing, playing football, and basketball – his exercise sometimes takes a backseat to his disease. Because he is often on IVs and has had over 24 sinus surgeries, Aidan’s biggest concern about starting high school is missing class and that possibly negatively impacting his chances to go to the college of his choice. Tune in to learn more about Aidan and his journey from middle school to high school. NovaBiotics Ltd (“NovaBiotics”) announces that its oral therapy for cystic fibrosis (CF), Lynovex®, has met the study objectives of the CARE CF 1 clinical trial. A common antibacterial substance in toothpaste may combat life-threatening diseases such as cystic fibrosis when combined with an with an FDA-approved drug, researchers report. Researchers have found that when triclosan, a substance that reduces or prevents bacteria from growing, combines with an antibiotic called tobramycin, it kills the cells that protect the CF bacteria, known as Pseudomonas aeruginosa, by up to 99.9 percent. CF is a common genetic disease with one in every 2,500 to 3,500 people diagnosed with it at an early age. It results in a thick mucus in the lungs, which becomes a magnet for bacteria. These bacteria are notoriously difficult to kill because a slimy barrier known as a biofilm, which allows the disease to thrive even when treated with antibiotics, protects them. “The problem that we’re really tackling is finding ways to kill these biofilms,” says Chris Waters, lead author of the study and a microbiology professor at Michigan State University. According to Waters, there are many common biofilm-related infections that people get, including ear infections and swollen, painful gums caused by gingivitis. But more serious, potentially fatal diseases join the ranks of CF including endocarditis, or inflammation of the heart, as well as infections from artificial hip and pacemaker implants. Waters and his coauthors grew 6,000 biofilms in petri dishes, added in tobramycin along with many different compounds, to see what worked better at killing the bacteria. Twenty-five potential compounds were effective, but one stood out. Triclosan has been used for more than 40 years in soaps, makeup, and other commercial products because of its antibacterial properties. Recently, the FDA ruled to limit its use in soaps and hand sanitizers due to insufficient data on its increased effectiveness and concern about overuse. Clear evidence has shown, though, that its use in toothpaste is safe and highly effective in fighting gingivitis, and it is still approved for use. Tobramycin is currently the most widely used treatment for CF, but it typically doesn’t clear the lungs of infection, Waters says. 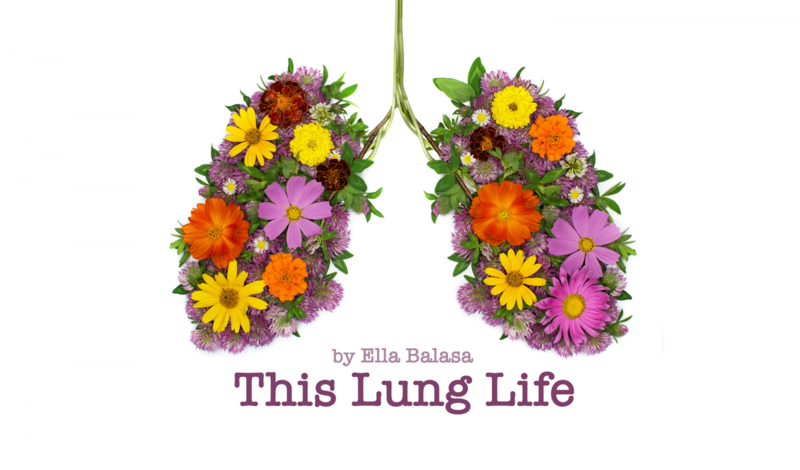 Patients typically inhale the drug, yet still find themselves chronically infected their whole lives, eventually needing a lung transplant. “Most transplants aren’t a viable option though for these patients and those who do have a transplant see a 50 percent failure rate within five years,” he says. “The other issue is that tobramycin can be toxic itself.” Known side effects from the drug include kidney toxicity and hearing loss. “Our triclosan finding gives doctors another potential option and allows them to use significantly less of the tobramycin in treatment, potentially reducing its use by 100 times,” Hunt says. Just brushing your teeth with toothpaste that has triclosan won’t help to treat lung infections though, Maiden says. “We’re working to get this potential therapy approved so we can provide a new treatment option for CF patients, as well as treat other biofilm infections that are now untreatable. We think this can save lives,” he says. The research appears in the journal Antimicrobial Agents and Chemotherapy. The National Institutes of Health, Cystic Fibrosis Foundation, and Hunt for a Cure in Grand Rapids, Michigan funded the research.